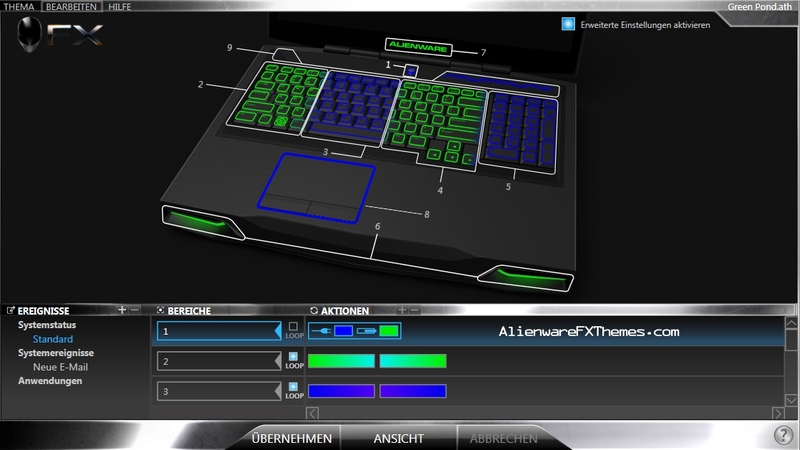 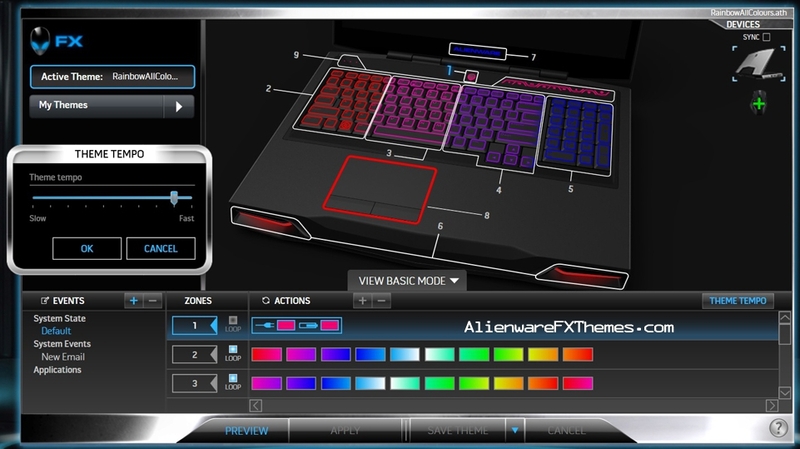 One World By iEdgy Alienware M17x R3 Fx Theme has all areas are white, except area 3 where all the colors run through that are available in the AlienFX Editor. 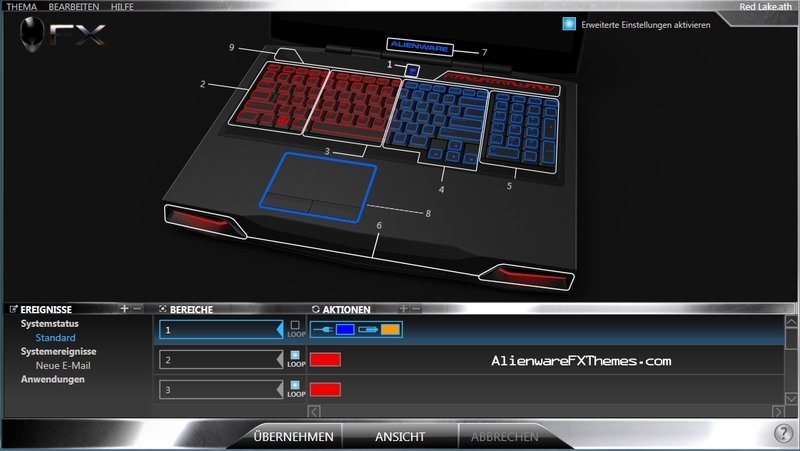 Another theme that doesn’t work for the laptop involved. 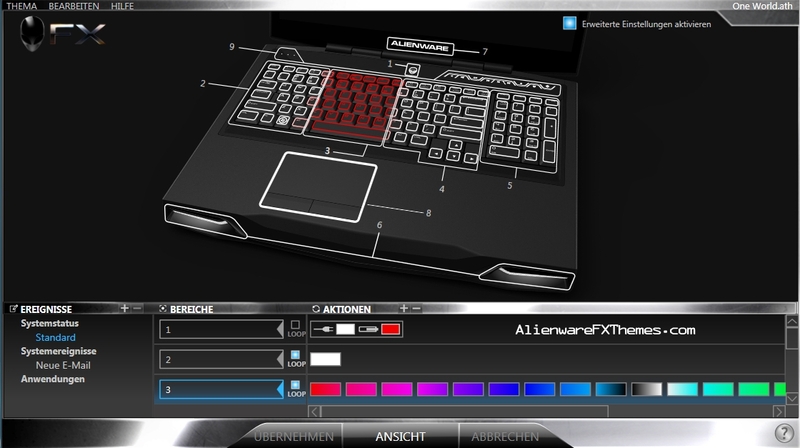 You CANNOT TURN THE LEDS WHITE ON THE 17 R3!